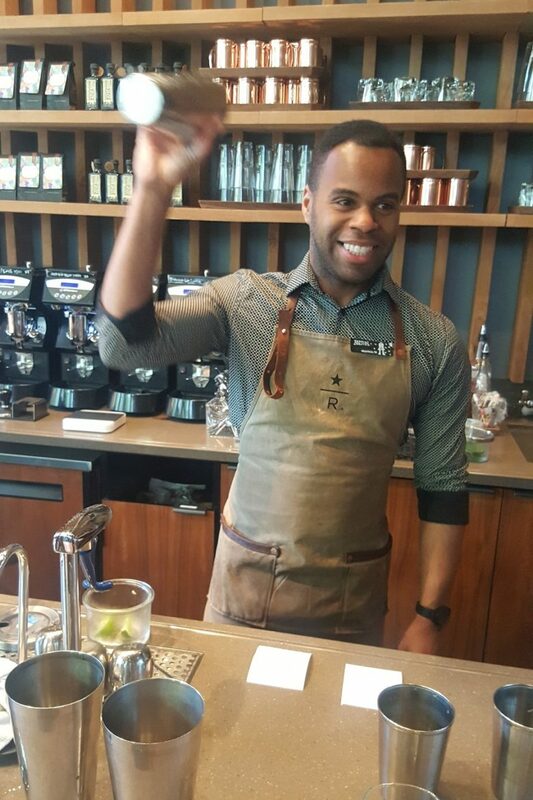 Tea Mixology at the Starbucks Reserve Roastery: 2 new summer drinks at the experience bar. 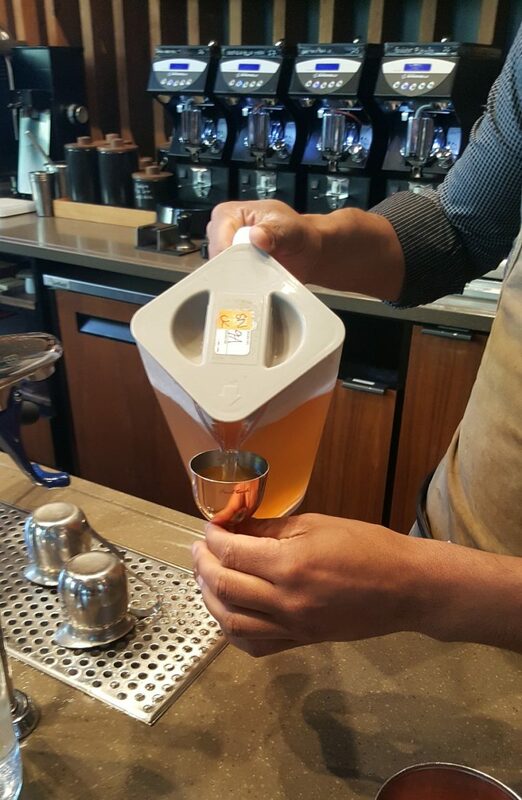 Starbucks has taken 2 Teavana tea favorites and given them an all-new sweet and delicious summer twist. 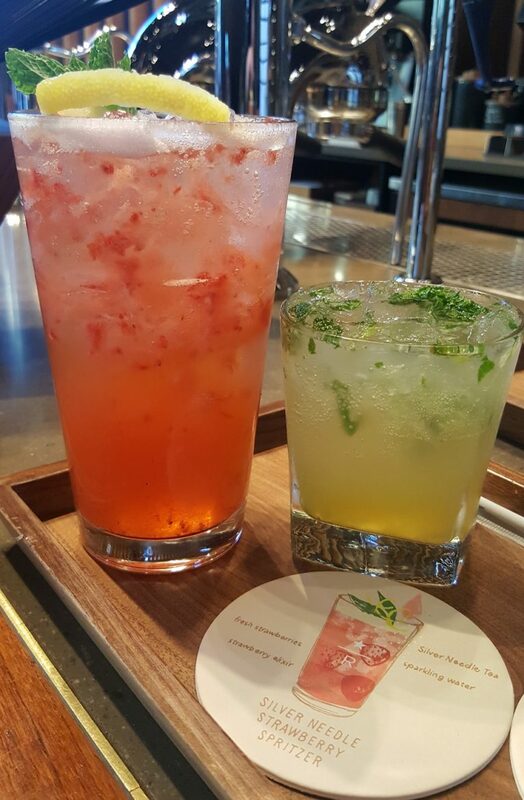 At the Experience Bar at the Starbucks Roastery, you can now order the Silver Needle Strawberry Spritzer and the Citrus Mint Tonic. The Silver Needle Strawberry Spritzer features Silver Needle, a delicate white tea, and the Citrus Mint Tonic features Citrus Lavender Sage. As a reminder, the Experience Bar is an area of the Roastery at the far west end of the large Roastery space, where there are often unique coffees or drink creations not available in the main “engine” part of the Roastery. The Citrus Mint Tonic tastes very inspired by alcohol! It’s a bit like a virgin Mint Julep or Mojito drink. 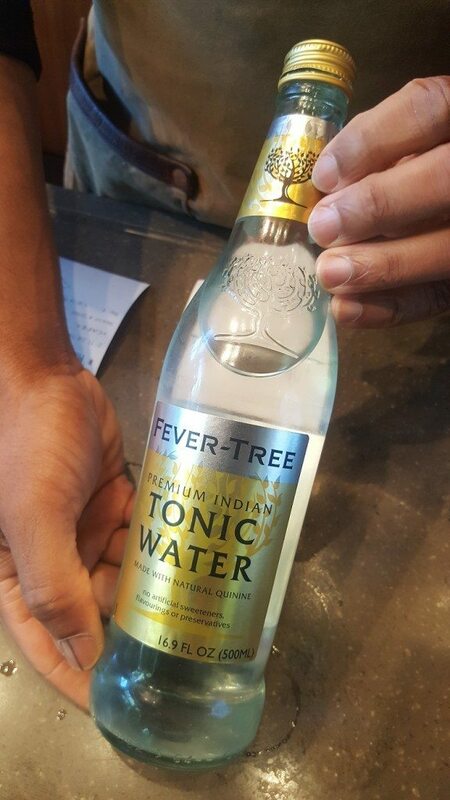 The combination of flavors of tonic with quinine and mint give it a very alcohol-ish flavor, with no actual alcohol. The tea in it is Citrus Lavendar Sage, a popular Teavana herbal tea. It’s one that I’ve made at home and enjoyed at the Roastery as just an iced tea. Since I know the flavor of that tea, I can taste it popping through. This drink though, is not a one-flavor wonder drink, rather has lots of good things going on in it. This beverage uses about 3 ounces of Teavana Silver Needle, made as a concentrate, strawberry slices, a strawberry elixir, muddled together, and finished with sprigs of mint, lemon peel, and a little sparkling water on top. 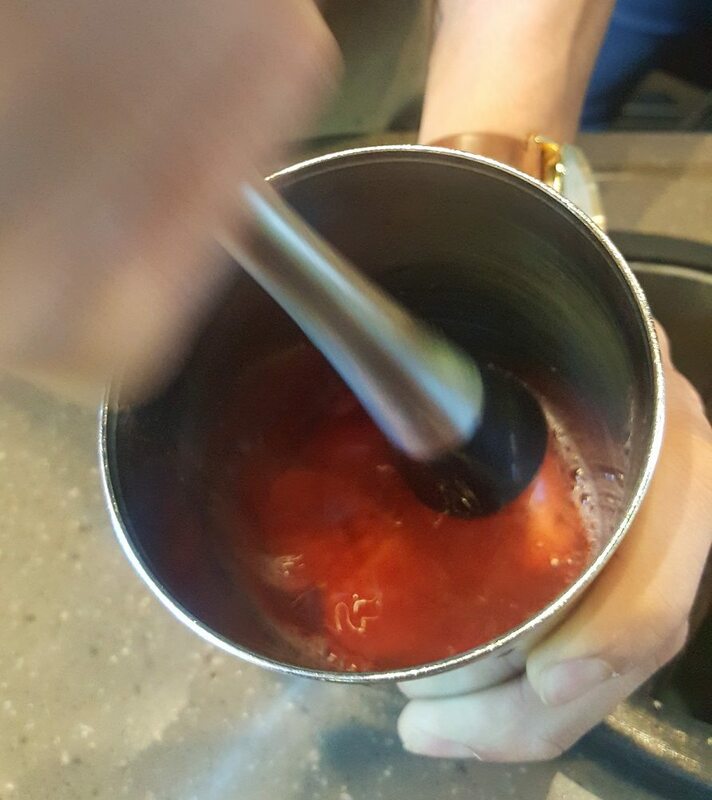 The strawberries are sourced fresh from a farm in California. 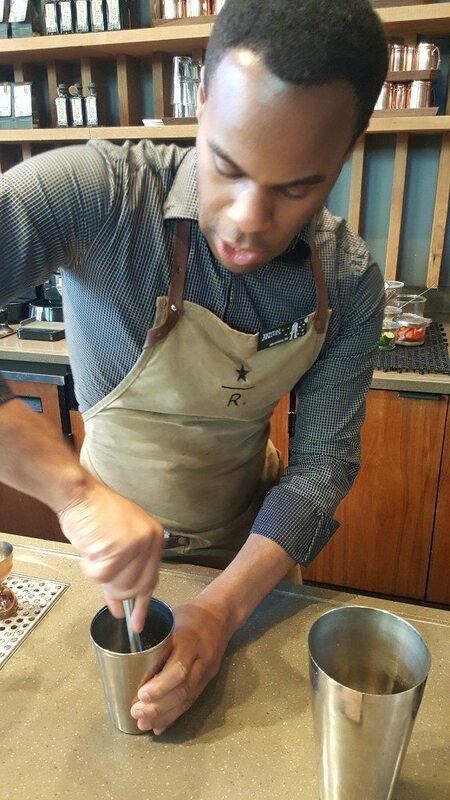 Roastery partners prep ingredients every day – Starbucks doesn’t buy any pre-peeled or cut lemon garnishes. 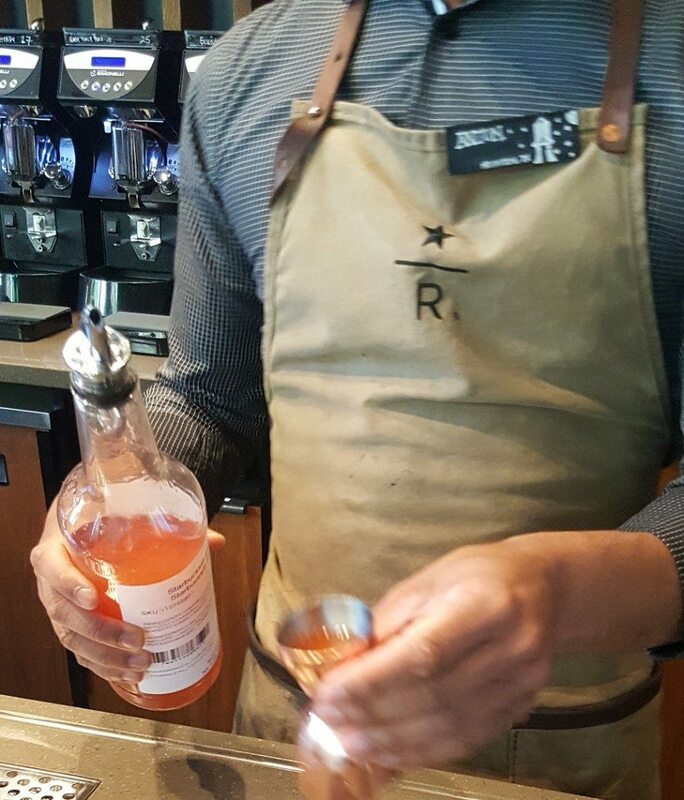 Roastery partners peel lemons every day. Silver Needle tea is one of the more expensive Teavana teas, so the ingredients for this drink are a little expensive. This is super delicious! It doesn’t really remind me of any particular alcoholic drink, but it’s absolutely a sweet, refreshing treat. It’s a lot of strawberry flavor, and the strawberry bits even kind of clog your straw, if you’re drinking through a straw. 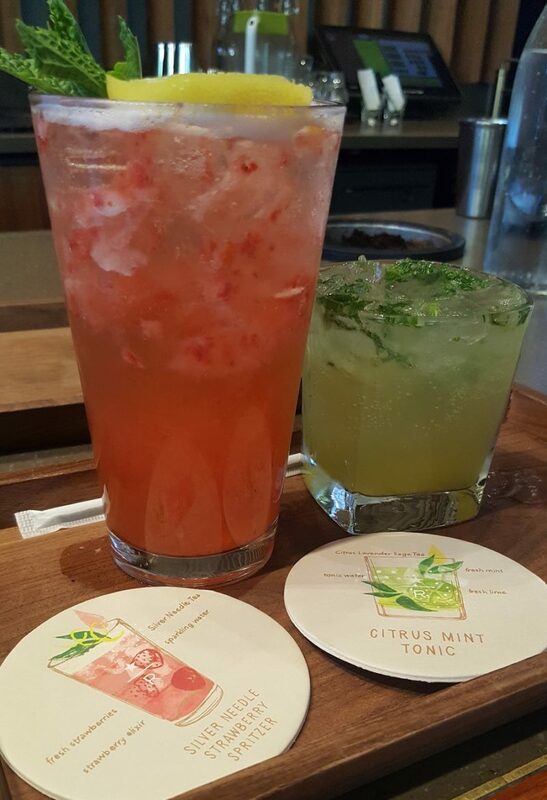 The Citrus Mint Tonic is $7.50 and the Silver Needle Strawberry Spritzer is $8.00. 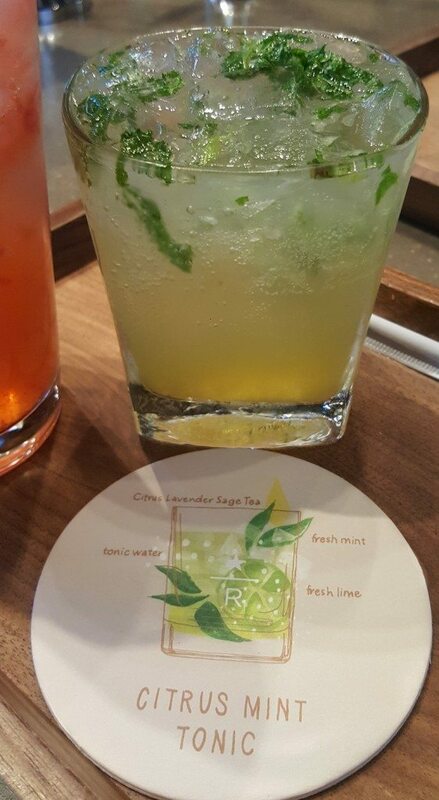 Be sure to try the other mixology drinks when you’re visit the Roastery: The Roastery still offers the Melrose, Emerald City Mule, and the Cascara Lemon Sour. Melody Reviews the Starbucks Easy Cold Brew at Home Pitcher Packs. 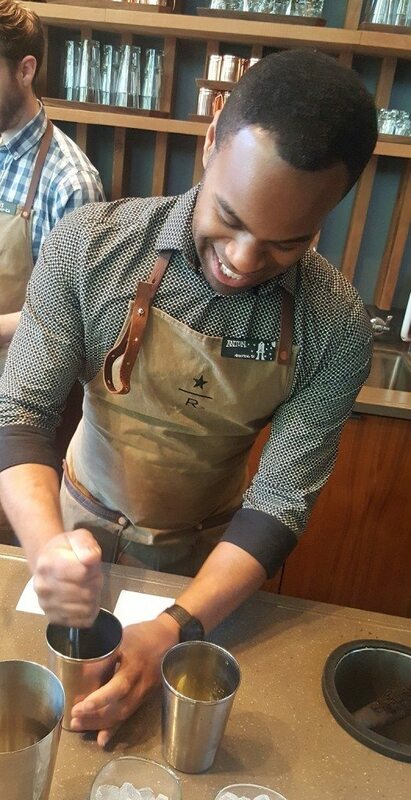 Farmer pride in the Star R.
Starbucks Cancels Manager Leadership Conference in Orlando; Reinvests In Technology.